Let us help you improve leak test cycle time without sacrificing accuracy. We offer a wide portfolio of innovative products and software to help you meet your leak test goals. Leak tests are required in any application where seal integrity is important. Small leaks missed early in assembly can cause big problems downstream, including expensive teardowns and repairs, quarantines and more. Many manufacturers rely on leak test as an end-of-line test. 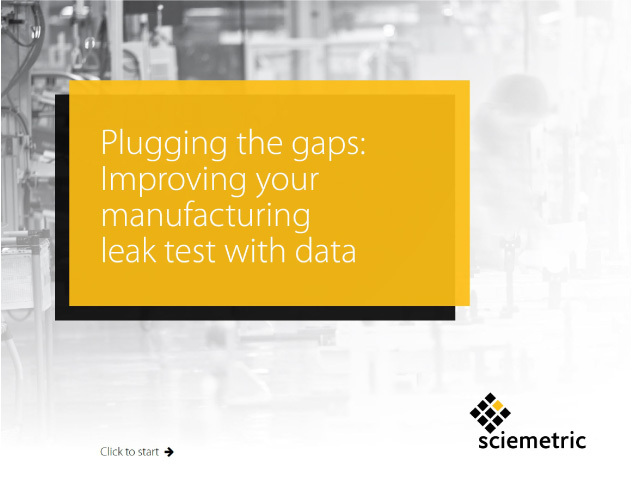 Sciemetric’s approach to in-process testing makes it possible to also leak test at critical junctions along the manufacturing line, without affecting productivity, so that defects are found as soon as possible, when they are most cost effective to fix. 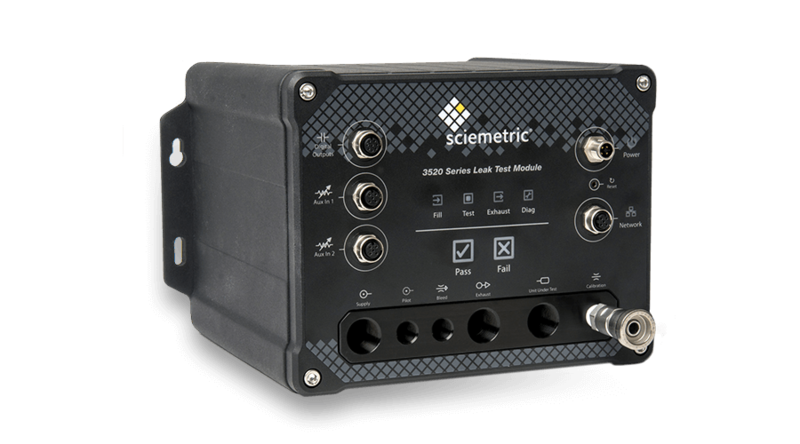 Sciemetric’s 3520 Series Leak Tester delivers patented leak test technology that offers ultimate accuracy and blazing fast cycle times. The 3520 Series has been designed to address the issues faced by manufacturers, making achieving reliability and repeatability in your leak test quick, simple and effective. Sciemetric’s leak detection systems can handle leak testing parts with volumes of less than 1cc to 1,000,000cc while delivering the speed and accuracy manufacturers require. Our leak tester has been used in various industries including consumer goods, powertrain, and components manufacturing in both automotive and off-highway, industrial applications, and medical device manufacturing. Using the data generated during your leak test processes is the quickest way to improve your leak test. 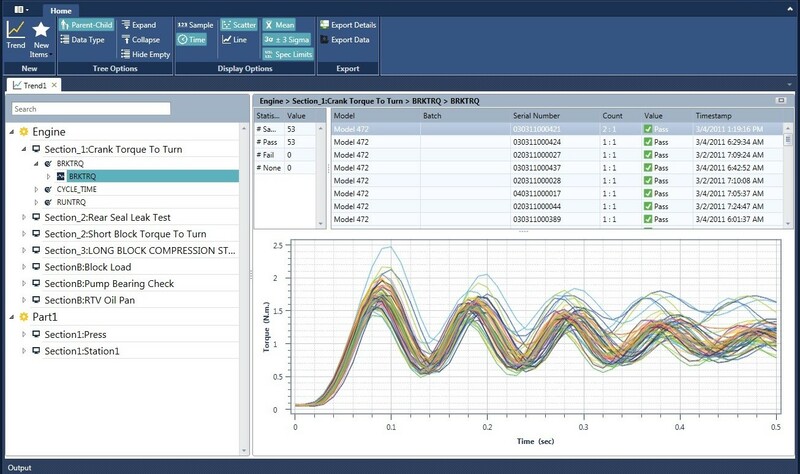 Sciemetric’s QualityWorX suite of data management and manufacturing analytics software allows you to consolidate your leak test process data with data collected from other key application tests from across your line, enabling complete democratization of data: real-time analysis capabilities across your enterprise. Sciemetric Studio software presents the visualization of data through waveform overlay, allowing you to easily identify process deviation and root cause of failure.​​​​​ In just a few clicks, you are able to compare your leak test processes and spot the bad ones, across the enterprise. Sciemetric’s partnership with Cincinnati Test Systems (CTS) means that customers gain access to products and support across the industry’s most comprehensive leak test product lineup. This partnership offers you the most innovative leak test technology and industry-leading accuracy and reliability, making it the ultimate defect detection and productivity solution for leak test on manufacturing production and assembly lines. We offer leak testers for small and large volume applications, applying pressure decay, mass flow, vacuum, and more. You can rely on the CTS and Sciemetric portfolio of products to catch even the smallest leaks in any part or product where seal integrity is critical. Leak testing isn’t just a science, it’s an art. Many variables can impact test outcomes, and you need the right tools to manage them. This free eBook gives you best practices, a proven methodology, and practical tips to achieve better results starting today. Is your leak test smart enough for Industry 4.0? In this free e-Book, learn how digital process signatures give you the insight you need to improve your leak test with better test limits, greater repeatability, reduced cycle times, full traceability, and more. At Sciemetric, we’ve spent more than 35 years developing and delivering innovative solutions for the problems that plague manufacturing production lines. Slow cycle times, unreliable test results, poor traceability, uncertainty in test limits, high warranty and recall costs and more—these are the challenges we thrive on. Our Ask The Experts video series gives quick, straightforward answers to the questions our customers ask us every day. How can I reduce the cycle time for my leak test? How can I quickly confirm that my leak tester is working properly? Sciemetric is a leader and pioneer in In-Process Test (IPT) for discrete manufacturing. We provide manufacturers in automotive powertrain, off-highway, industrial, and medical markets with Industry 4.0 smart technologies that help optimize yield, boost quality, and reduce costs. Our expertise in leak testing and other plant processes comes from walking thousands of production lines over our 35-year history. 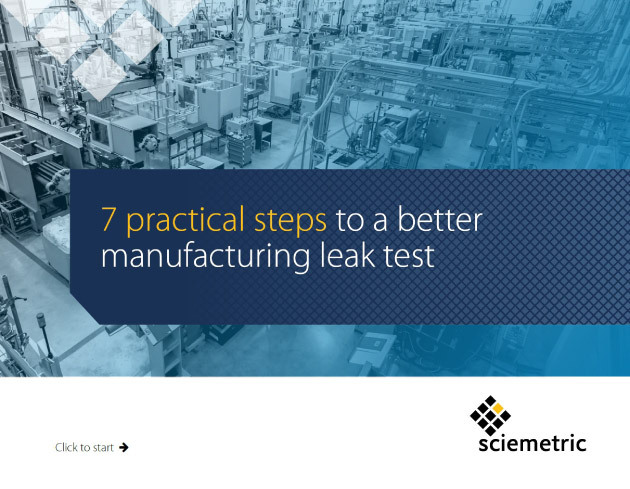 Talk to a leak expert to find out how Sciemetric can help you achieve your leak test goals.